Boom & Scissor lifts, cherry pickers, low-level platforms, material & Personnel hoists & trailer mounted hoists. 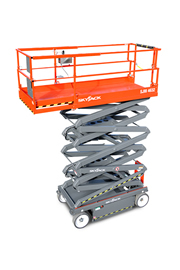 Whether you need a scissor lift or a cherry picker, a low-level platform or a material lift, or pretty much any other access equipment besides, check out our range – it’s amongst the most comprehensive available. This is thanks to the extent of our own stock, but also our nationwide network of trusted partners. Our Bedford location means we’re ideally placed to serve businesses and individuals in Bedfordshire, Buckinghamshire, Cambridgeshire, Hertfordshire and Northamptonshire, whilst giving us excellent motorway access to reach customers in London and further afield. In addition, we work with a network of trusted partners to ensure that our access solutions are available nationwide and internationally. 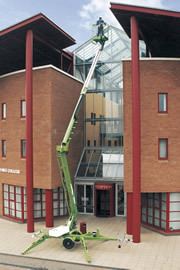 We have used Liftright Access on various jobs both local and further afield. All equipment is delivered to site promptly and on time and collected in the the same way. All equipment from Liftright is In tip top condition. The staff are very knowledgeable and helpful in assisting us in getting the correct lift or platform for the jobs we need doing. We are more than happy to recommend Liftright Access Ltd. I have been using Liftright Access for the last 3 years. They are a fantastic supplier to deal with, their customer services is second-to-none. They always give great prices, speedy turnaround and an amazing service. They have never let me down, nothing is too much for them. They will go out of their way to help in every situation. I have always been happy with their services and would recommend them to anyone. 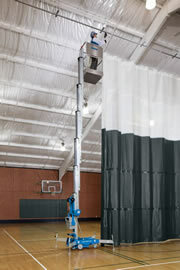 Liftright has been providing our access platforms for over a year now. We are very happy with the service we receive. The nature of our projects often means we need a platform delivered with exceptionally short notice, same day in some cases. Each time, this has been met without any concerns, and at competitive cost. This level of service is absolutely essential to the way that we work, so we are happy to have found Liftright Access, and have absolutely no problem in recommending them. We have used Liftright Access for the last 12 months on our access hire and have always received good service. The machines are delivered on time and when asked specific times if required and the machines have always been in good working order. The costs are very reasonable and fair for the hires, we would happily recommend them to anybody wanting access equipment. Having used Liftright Access quite a few times recently I have always had a fast friendly service. I would not hesitate in recommending them for any high rise job you may have. As one of Bedford’s leading sign manufacturer and installers we rely on our sub-contractor partners to be totally on point with our requirements. Liftright Access do not disappoint. From the onsite survey prior to sign fitting, through to advice on which access platform would be best for the job, delivery and collection. The machines turn up on time, clean, fully charged or full of fuel ready to go. I can wholly recommend Liftright Access for any job off the ground. The service offered by Gary and his team is superb and second to none. We have a constant supply of high quality, used access machines. Buy refurbished equipment with confidence and full support from Liftright Access. If equipment hire isn’t your preferred option, take a look at our extensive used sales and new sales stock instead. Our flexible finance options also make it easy for you to pay for your used access equipment over time, without major upfront investment. Why Buy Used Access Equipment From Us? When you buy from us, you buy from a business that has over 35 years’ experience in supplying Working at Height access platforms to hundreds of businesses up and down the UK and internationally. We can provide full technical and product data for each used item, including the number of hours the machine has been operated, a condition summary, its maximum working height, serial number, manufacturer’s brochure, multiple photos, and of course a clear, ex-VAT price. And we can help you right from the beginning of the purchase process (by arranging flexible finance) and through the entire lifecycle of the equipment (including maintenance, repair, refurbishment – even operator training). 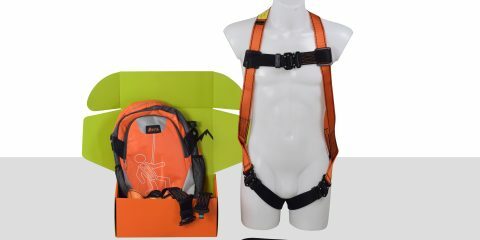 Buy new access reach equipment from major brands. All lift & hoist types available complete with support & finance packages to suit your requirements. If you’re looking to buy access equipment new, this is the place to take in some of the big names we can supply to you! But it’s not just the breadth of choice you’ll appreciate – it’s our flexible finance terms, too. HP, Lease Purchase, Finance Lease – these are just a few of the options we offer to enable you to buy your access equipment new without your balance sheet taking a capex hit! Why buy new access equipment from us? Top global manufacturers – Genie, JLG, Niftylift, Skyjack and more – entrust the reputation of their brands to us, and some 35 years’ worth of satisfied UK and international customers demonstrate that it’s trust well won! We’re focused on much more than just making the sale; we’re there for you from the finance stage through the entire lifecycle of the equipment (including maintenance, repair and refurbishment, and even operator training). We provide the manufacturer’s technical and product data for each piece of equipment and each new piece of equipment is covered by a manufacturer’s warranty. Make sure your operators have the skills to keep them and those around them safe, your business compliant, and your machines in the best and most reliable possible condition. We deliver bespoke solutions for bridge access, gantries, roof access and walkways, from initial design through to deployment and maintenance. Regular inspections and maintenance of your equipment are a legal requirement. A service contract with us covers it! Working at height is a hot topic for Health & Safety. We can help you navigate it with training and resource libraries. Since 2008, Liftright Access has been supplying access solutions to customers nationwide and internationally. But it’s not just the kit that counts. We offer free site surveys; we finance; we service; we repair; we refurbish, we train. In fact, we’re with you for every step (and rung) of your access solution journey. Seven days a week, if you need it. We’re also accredited members of IPAF (International Powered Access Federation) - an industry body with the highest membership standards. At Liftright Access, you get soaring service from the ground up! Here at Liftright Access, whatever you need to reach, we’ll get you right up to it - on the right lift, boom, platform, trailer or picker for the job, and on easy equipment hire terms to suit you! And it’s not just our equipment that reaches for the sky – with over 35 years’ business experience, we take our service levels and customer care to dizzying heights, too! We can carry out a FREE site survey, to fully understand your access challenges, and provide you with the most cost-effective equipment to solve them. You can pay your equipment hire by credit or debit card, so you can quickly get on with the business of working at height! And you can reach us seven days a week, if you need to. How’s that for friendly, reliable, personal service? In short, what we deliver is uplifting in more ways than one! Benefits of using MEWPs (Mobile Elevating Work Platform) As a business, there are many benefits of using MEWPs, for example:- Fully Mobile: Powered access platforms can be transported and utilised quickly and easily with their major bene ..
Safety Harness Do your staff use access equipment? IPAF (the Internationanl Powered Access Federation) says that anyone working in boom lifts and other MEWPs, whether self-propelled or vehicle mo .. 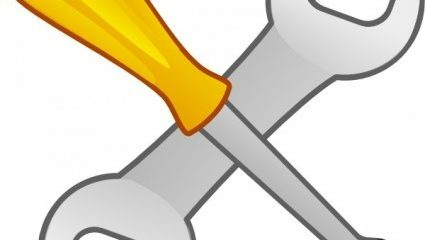 Servicing your access equipment Does your business own access equipment? If so, then our qualified engineers are available to carry out the mandatory thorough examinations on your access equipment, either at you .. 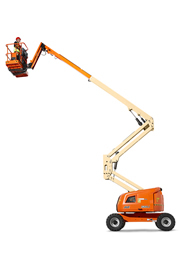 The Cherry Picker Let us introduce you to the boom lift or cherry picker. A wonderfully versatile machine that comes in various shapes and sizes but today we are concentrating on the Nifty Lift HR1 ..